Shabu is another name for methamphetamine hydrochloride, also known as crystal meth. 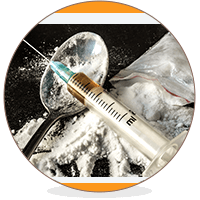 Meth is a highly addictive stimulant that causes its user irreversible harm, physically and mentally. Usually, the drug is used to create a sense of euphoria, increase wakefulness, and physical activity. In addition, it suppresses appetite. Shabu can be snorted, smoked, injected and dissolved in water. What does shabu look like? Shabu, or crystal meth, is a white, odorless substance. Typically, you will find it in a crystal formation or crystalline powder. It tends to be bitter in taste. Sometimes, it’s combined with caffeine or other chemicals. Furthermore, it can be packaged in the form of a pill for easy measurement and distribution. How Does Shabu Affect the Body? The more severe symptoms of shabu abuse are sweating, hypertension, hyperthermia, insomnia, irritability, psychosis, tremors, seizures and an increased heart rate. The effects of shabu can last for hours with abusers sometimes suffering from tremors or insomnia for days. The initial high is much shorter and depending on how the drug is taken, can last between 2-20 minutes. As the high wears off, further symptoms such as paranoia and delusion reveal themselves. Lethargic behavior is also very common after taking the drug, due to the sudden loss of focus and energy. Further fatigue and an ever increasing craving for shabu are also common experiences after the effects of the drug have worn off. How is Shabu, a Drug Problem in the Philippines? To illustrate the severity of the problem, shabu was declared the most abused illicit drug in the Philippines. This is according to a 2009 United Nations World Drug Report. According to The Philippine Star, more than 90 percent of the villages in the metro area of Manila are drug-affected neighborhoods. Called barangays, this means they either have users, distributors, shabu drug dens, or manufacturers within the community. In addition, most meth found on the street may be cut (mixed) with some other dangerous substances, for example, heroin or PCP. Shabu “laboratories” are also an environmental hazard. The process of making the drug creates explosive chemical compounds and harmful fumes. As a result, these laboratories are extremely dangerous to be in or around. However, for those willing to take the risk, the drug turns a huge profit. Currently, production is mainly in small, underground labs as well as industrial-grade labs in the Philippines. Tragically, many of the larger laboratories are owned by powerful Chinese drug lords. The ones in power are very far removed from those getting their hands dirty in the streets. It is the latter who are running the risk of being caught transporting or selling the drug. As a result, the ones getting punished are usually lower and middle-class citizens. Therefore, they remain at the bottom of the hierarchical pyramid. At the same time, they can usually only afford small amounts of the drug that they are risking their lives for. For this reason, shabu does a great job of tearing families apart and destroying lives. It can act all on its own due to its addictive and brain-damaging properties and irrevocable physical and psychological damage it causes to its users. In addition, the Philippines imposes harsh sentences upon those found in possession of shabu. That is on top of the naturally occurring consequences of the drug. The Philippines has a mandatory no bail policy. Additionally, life in prison is a common sentence for selling as little as $70 worth of shabu. In recent years, the crime of selling shabu has become an even greater danger. Since Rodrigo Duterte took charge of the Philippines, he has announced a full-scale war on drugs which has lead to many street dealers even being killed by police or vigilantes. This war on drugs has failed however, as it merely forced the bigger producers of shabu in the Philippines to hide underground, letting the small-time users and dealers take the hit. This was made abundantly clear, when Duterte ordered a stand down and return to the normal practices, with shabu remaining as commonly used as ever. The prominence of shabu in the Philippines is even more evident when traveling through the city. Even slightly outside the center of Manila, the drug is openly offered at an incredibly low price, highlighting how the war on drugs has fallen flat, despite killing over 8000 people. Many question the ideology of Duterte. He enforced a regime which had never previously managed to effectively counter drugs and once again failed. Additionally, it targeted the wrong people. Instead of targeting the producers, Duterte focused on users, trying to hide the problem rather than cure it. This only ensured its stronger than ever return. The number of shabu users is now reported to be over 3 million, as opposed to 1.8 million at the beginning of Duterte’s reign. This statistic, alongside the high death toll, highlights the problem with how Duterte tackled shabu. Why Is Shabu So Popular In The Philippines? Shabu’s popularity is the Philippines stems from a few different issues. The first being that the drug increases alertness, and in a poverty-stricken environment, this presents a “solution” to a big problem. Due to poverty, many Filipinos work longer hours, which, in turn, creates a need for something that will allow them to maintain focus for a longer period of time. Many cultures turn to caffeine for this purpose, however, in the Philippines, the go-to drug is shabu. This leads to the next issue, which is the addictive quality of the drug. With many addictive drugs, the price forces people to quit. However, in the Philippines, shabu is so cheap that the cost never has this effect on users. Those addicted can easily afford and access shabu, to continue its consumption. In the Philippines, monitoring drugs, including shabu, is almost impossible. This is due to the nations disorganization and corruption in authority, as well as its vast unguarded coastline. Due to these factors, both ingredients and the drug itself can be easily imported at low cost and with little danger. The corruption also means that even when the drug smuggling is caught, authorities may turn a blind eye. Local officials have even been known to transport shabu in an ambulance and store it in churches. Arguably the most common factor in shabu’s popularity in the Philippines is the escapism it provides from normal, chaotic life. Many citizens of Manila have been interviewed over time, explaining how the drug helped them feel in control or more focused so that they could go about their day in the most efficient manner possible. The drug also induces a sense of euphoria, meaning that users undergo a sudden high that removes them from difficulties they may be facing. Finally, a huge factor in the high levels of addiction in the Philippines is the lack of treatment opportunities. The Philippines has just over 50 treatment centers across its entire archipelago. In a country with such a huge population, that has at least 720,000 confessed abusers of the drug, this simply isn’t a high enough quantity of centers to aid all those in need. This, in turn, means that many who want treatment will have to go without it, continuing to take shabu until they are at a point of no return. Great article, I’m very curious about the drug problems in the Philippines, and this article has helped me understand how severe it really is. Very well written and informative.